The University of Southampton has announced the appointment of Colin Smith as Pro-Chancellor. Colin, former Director and Group President of Rolls-Royce, joins Dr Gill Rider and Jon Sopel as Pro-Chancellor, deputising for the Chancellor in playing an active ambassadorial role in the future development of the University. His role as Pro-Chancellor will take immediate effect. 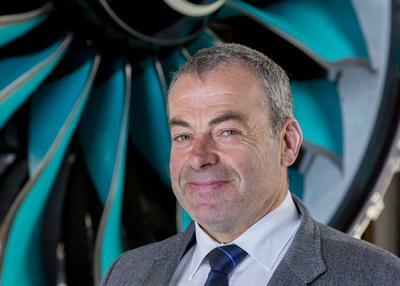 Colin joined Rolls-Royce in 1974 as an undergraduate apprentice before achieving his degree in Mechanical Engineering at the University of Southampton. In 2005, Colin became Director – Engineering & Technology when he was also appointed a member of the Board of Rolls-Royce. Prior to this role, he held a number of senior engineering positions including Director of Research & Technology, building on his previous experience as Director of Engineering & Technology for Civil Aerospace. Colin retired as Group President of Rolls-Royce in 2017. In June 2012, Colin was awarded a CBE for services to UK engineering. He is a Fellow of The Royal Society, the Royal Academy of Engineering, The Royal Aeronautical Society, and The Institution of Mechanical Engineers. He was the recipient of a Royal Academy of Engineering Silver Medal in 2002, which recognises outstanding personal contribution to UK engineering. Colin has been awarded Honorary Doctorates by the Universities of Derby, Loughborough, Nottingham, Oxford, Southampton and Strathclyde. He is Chairman of UK Industry Aerospace Growth Partnership and a member of the UK Council for Science and Technology. Colin is also a keen supporter of the University of Southampton’s campaign to establish the UK’s first dedicated Centre for Cancer Immunology. “I am absolutely delighted to have been offered this role as a Pro Chancellor of the University which contributed so much to my education and gave me many long term friends,” said Colin.